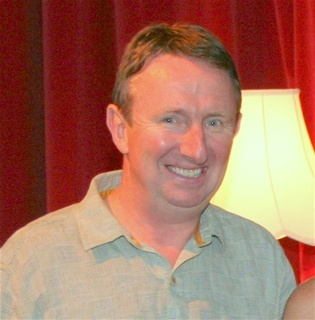 Philip Macdonnell Director of "The Gigli Concert" - the DADS full length production for 2016. Tom Murphy is one of Irelands greatest playwrights and down the years Dunmore has seen some memorable performances of Murphy plays, going back to the late Margaret Walsh's superb production of "A Crucial Week in the Life of a Grocer's Assistant" in the late 70's. Following on his magnificent production of "Someone Who'll Watch Over Me", which came so tantalisingly close to winning All Ireland glory last year, Philip Macdonnell has chosen Tom Murphy's "The Gigli Concert" as his 2016 production. The cast of Martin Silke, Ollie Turner and Joan Walkin are a troupe of very experienced and skilled actors who have performed with distinction all around Ireland. Director, Philip Macdonnell is not only a skilled director and lighting technician but is also a very experienced and distinguished actor. They will not be found wanting and everyone wishes Philip and his cast all the very best on the circuit with this demanding play. I would like to offer your organisation and any drama and/or musical groups you may be associated with, a FREE Comedy Stage Play to perform throughout 2017. I love keeping up on all the plays in Dunmore. Any updates to the 2014 play schedule and goings on ? ,SOS. Fantastic memories working with MOL for many years in St. Jarlaths. Every day was banter and craic. Nothing was sacred. Massive loss to the school. Amazing actor and mentor. I enjoyed every second I had on stage with MOL. I wish I could have had more. Deeply saddened by the news that Dunmore has lost one of its finest embassadors. Rest in Peace Michael. An unbelievable Maths teacher, follower of The MacHales, avid golfer, lover of the Arts & Music...a great friend! Rest In Peace Micheál. Farewell Micheal. You inspired us to take to the boards. You entertained us you taught us and your legacy will live forever. Tis not all over. Rest in peace. Congratulations to all in DADS on their performance in Castleblayney last week. Fantastic production of The Gigli Concert.